When it comes to a canoe trip, many think of the rigorous routes, whitewater and rapids and portaging for kilometres at a time. The Saugeen River offers a canoe trip that is simple; where it can be an easy afternoon on the water. The most complicated part of canoe tripping on the river is the shuttle back to your vehicle. Thankfully, local outfitters make this easy for you. They’ve got shuttles going throughout the day from put-in and take-out spots all along the river and can get you back to your car for a minimal fee. Don’t forget a life jacket, safety gear, hats, sunscreen and a picnic lunch! The Saugeen River is home to the one of the largest runs of migratory Rainbow Trout/Steelhead in the province of Ontario. 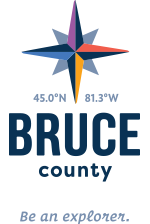 It’s safe to say that Bruce County boasts some of the best steelhead fishing anywhere in Southern Ontario, if not the Great Lakes. The characteristics and biology of the Saugeen River teamed with Ontario Steelheaders efforts has created this crown jewel of Ontario fishing. Through an intensive local stocking program and ideal river conditions that encourage wild born fish, the annual run of trout is estimated to be over 30,000 fish. Pack some dry clothes, a good pair of waders and your favourite trout gear and head out to get “hooked”. Looking for that paddling adventure? Cowan Canoe Livery and Thorncrest Outfitters has you covered! Find your perfect access point along the Saugeen.